ANNND Coachella is upon us! Time has passed too quickly for it to already be another year at this mega rager. With this being my second time around, I actually have some idea on how to prepare myself (and my aging body, cue the advil and b12). Festival style has really changed Spring fashion while becoming its own "season", so it's a whole other animal to tackle when it comes to dressing for Coachella. When I think of festival fashion, I think of dressing for my most relaxed and free being. It doesn't have to be particularly boho or everything fringe - it's about what clothes I like to wear as a free spirit in the summertime. And me, I turn to denim like I turn to a nice baked potato and french fries for comfort food (I really, really love potato). Denim is my comfort clothing. 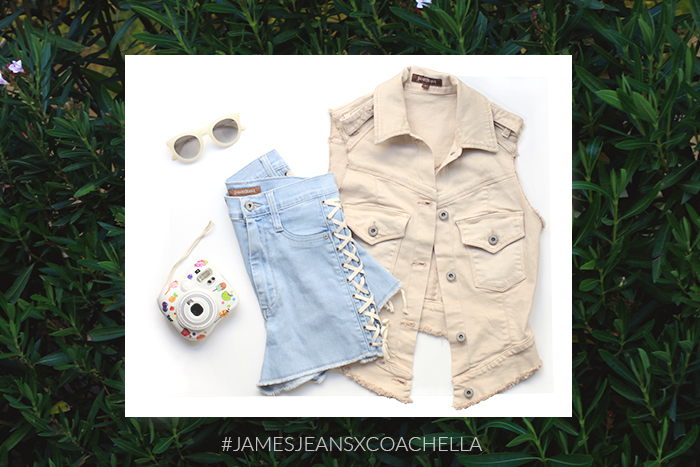 I naturally turned to my favorite denim line, James Jeans for a few pieces to bring to Coachella, like these high waisted shorts with the sweetest lace-up detail and a chic basic vest that'll go well over a crop top or bikini top. Cool and comfortable and Coachella ready! On Friday of the first weekend, I'll be instagramming with James Jeans from the biggest parties and performances of Coachella. Make sure to follow me @honeynsilk and @jamesjeans and to check out our hashtag #jamesjeansxcoachella for complete behind-the-scenes coverage! Until then, James Jeans is giving away one outfit (top and bottom) of your choice to a lucky winner for the festival season and summer! Enter below to win. A winner will be announced on April 14th. Don't miss out because their denim will be the comfort clothes of your life! Those light blue jeans look perfect on you! 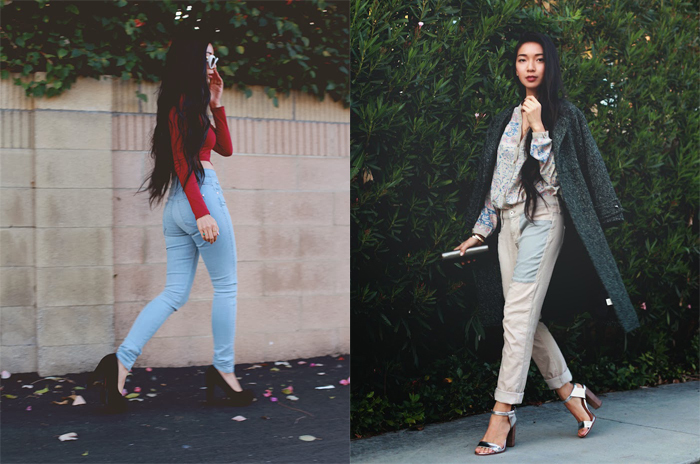 I'm pretty sure I had heard of James jeans from you a couple months ago and I fell in love! I would be soooo happy if I won this!